Dimensions are 20cm x 6cm. 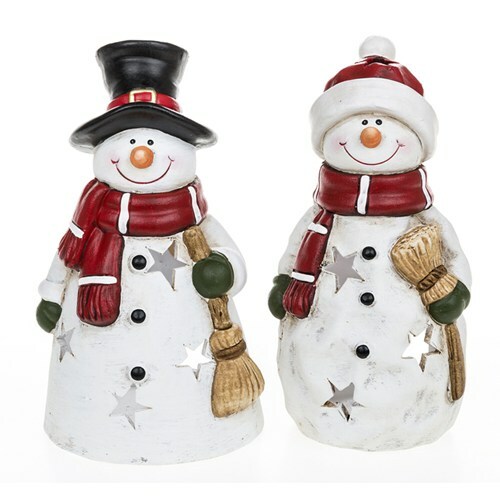 The price is for 1 snowman, one with a black hat and one with a red bobble hat. Please select at checkout.